The Best Way To Learn Spanish is Through Experience. 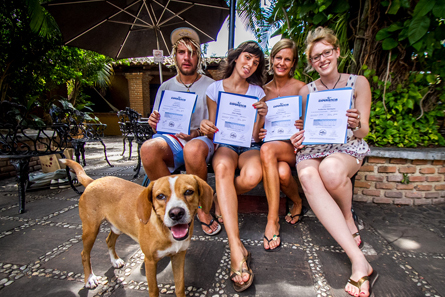 We love to share the best that Puerto Escondido has to offer with our students. We are happy to welcome you in our school, our home. 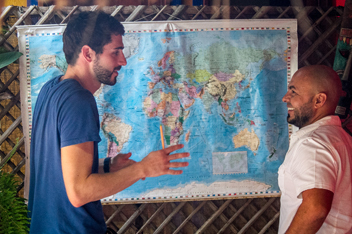 You can choose from 5 Spanish Courses: Standard, Travellers, Private, Executive and Professional. 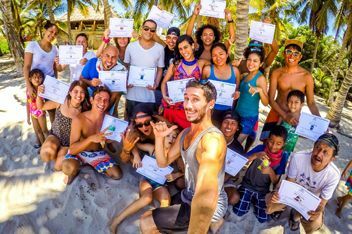 Surf & Spanish, Designed if you want to enjoy the sea and learn Spanish, Beginner to Pro. Our mission is to create life changing opportunities for our volunteers while contributing their much needed skills and passion to local projects and organizations. The classes are held in our private tropical garden. Your teachers are university graduates, experienced and native speakers of the language. Our team´s goal is to ensure you enjoy your time and experience Puerto Escondido. How better way to learn Mexican history & culture than to cook its food? 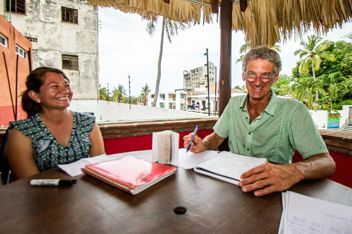 Our friendly staff are the primary reason our clients recommend Experiencia to others. The Expeditions main purpose is to share ideas and work together to conserve wildlife. We take great care in creating a safe and healthy environment for all our students and staff. The school, the camp and the surf lessons was all very well organized and super professional.. everyone was very welcoming and caring. Hasta luego ! Just wanted to let you guys know that I really had a great experience at ``Experiencia`` ;-P I enjoyed the whole week of Spanish & Surf and will definitely keep on surfin'! !